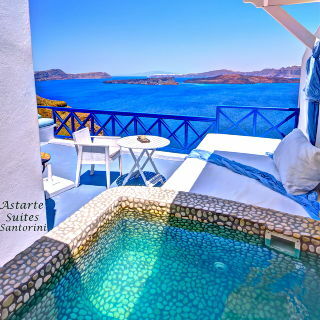 Elegance, beauty and tranquility, create a honeymoon experience or romantic getaway that will exceed your expectations. 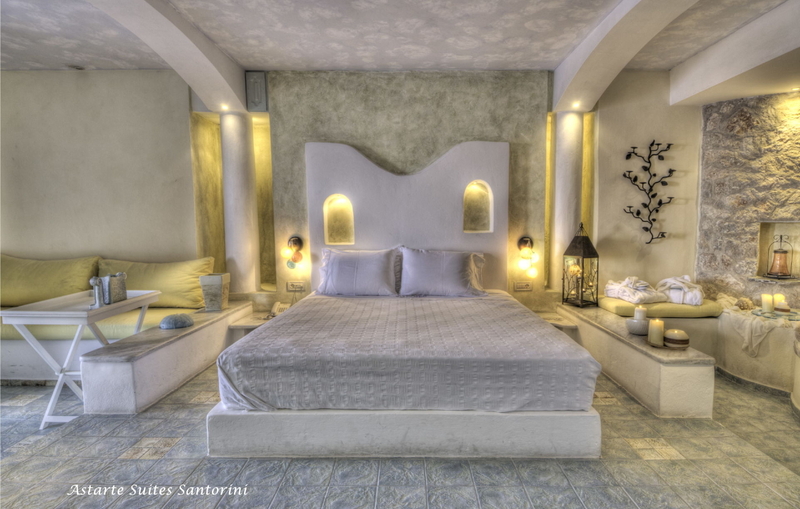 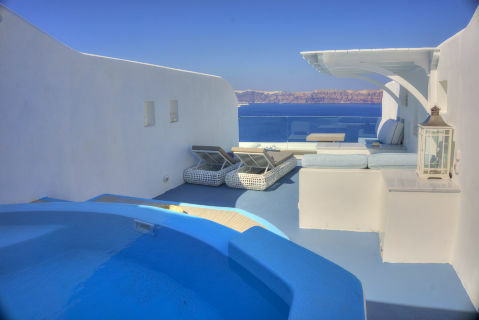 Honeymoon Suites are ideal to spend the exceptional days of your life and never forget them. 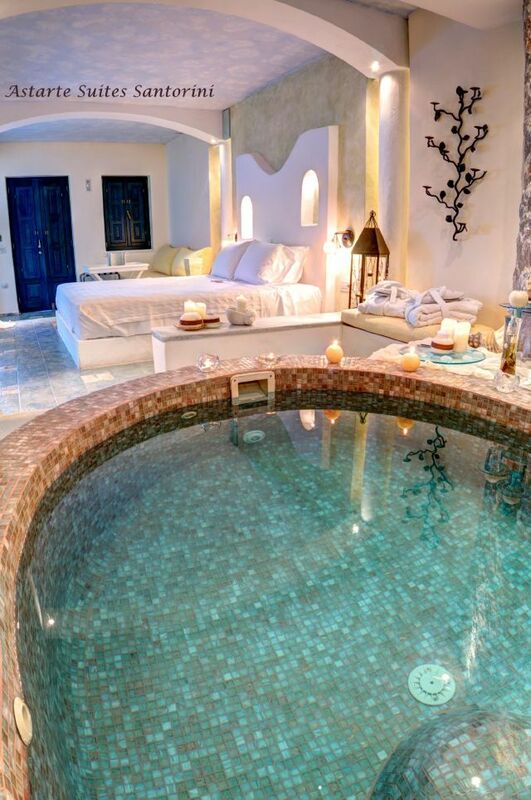 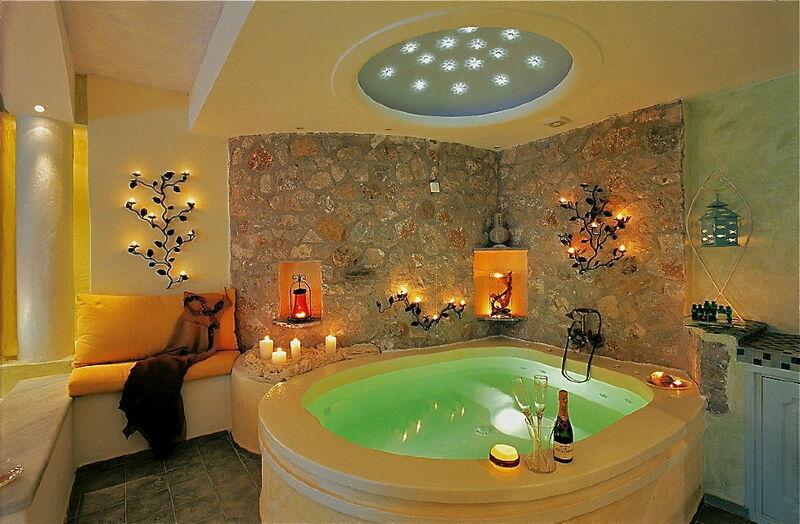 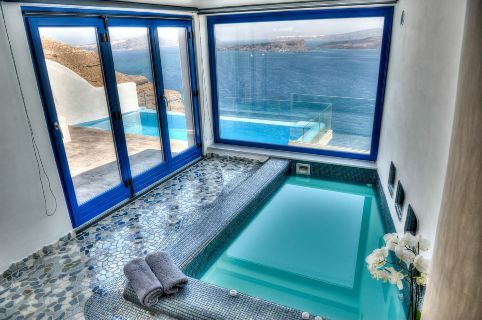 These suites are the most lavish, with a large hand tiled Jacuzzi, made for decadent down time. 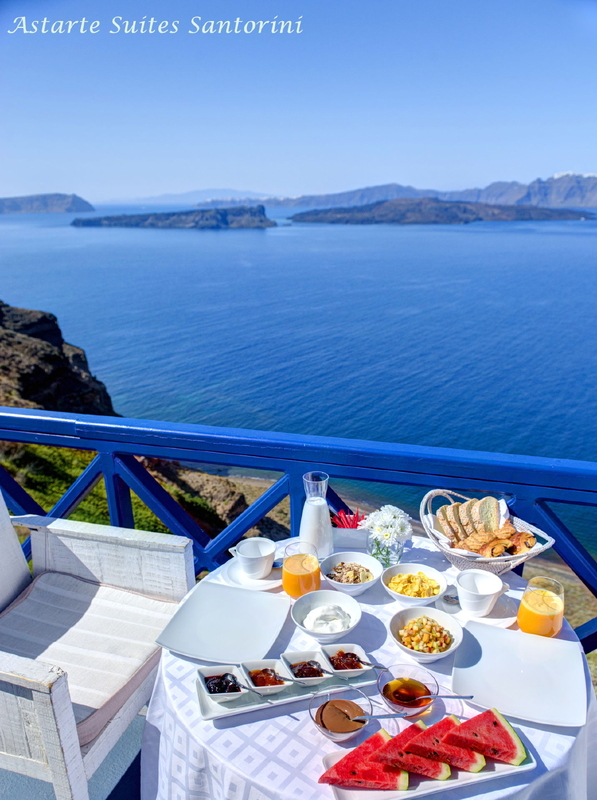 Spoil yourself with a champagne breakfast, served in the privacy of your terrace, while you gaze at the endless blue of the Aegean sea. 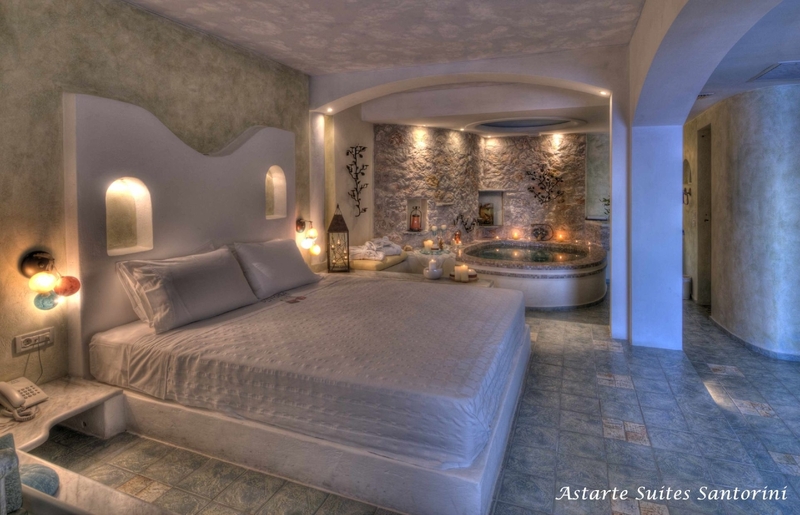 King-size Bedroom with marble bed tables, adjoining living room with spacious sitting area, bathroom with shower, indoor heated couples Jacuzzi-pool, private panoramic large balcony with dining area and outdoor lounge with sofa bed having volcano, caldera and sea view. 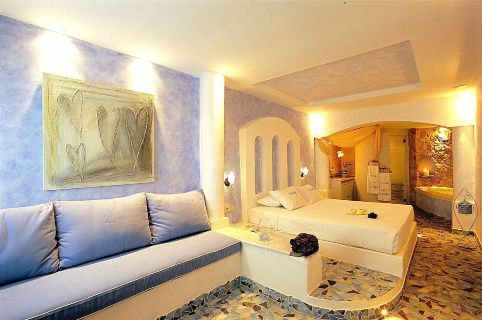 King-size Bedroom with marble bed tables, separate living room with spacious sitting area and dining area, 2 bathrooms with shower, open air heated couples Jacuzzi-pool, private panoramic large terrace with sitting area, dining area, large outdoor lounge with daybed having volcano, caldera and sea view.